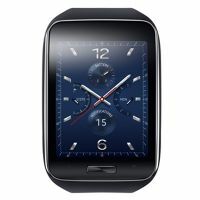 SM-R7500ZKA Gear S allows user to enjoy real freedom by delivering smart mobile experience without a smartphone in hand. To Recieve updates and possible rewards for Samsung Gear S White please sign in. To Recieve updates and possible rewards for Wearable please sign in.